Bright Modern Bedroom Interior With Hardwood Floor And Ceiling.. Stock Photo, Picture And Royalty Free Image. Image 58522720. 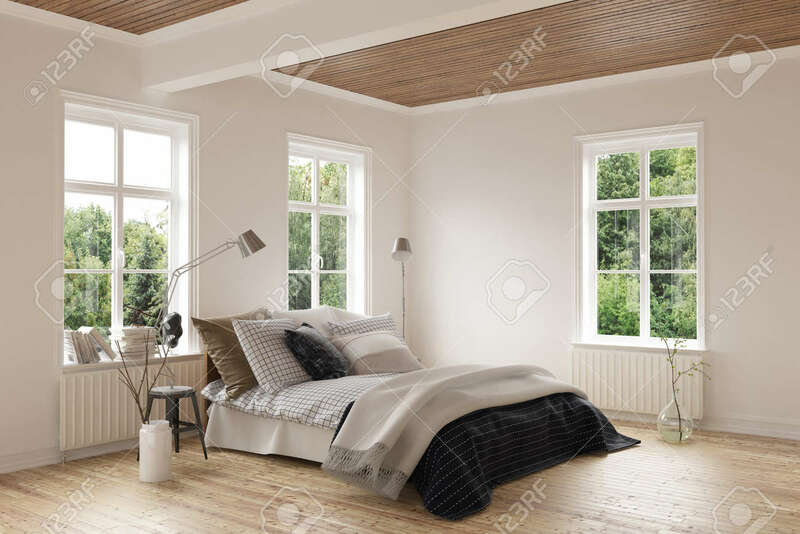 Stock Photo - Bright modern bedroom interior with hardwood floor and ceiling and windows on both walls around a comfortable double bed with cushions. 3d Rendering. Bright modern bedroom interior with hardwood floor and ceiling and windows on both walls around a comfortable double bed with cushions. 3d Rendering.